“You’ve got to be kidding me,” I said to myself as the storm door pumped behind me to a close. I carried the day’s mail in on the flat of my forearm, like a waiter bussing dirty dishes. A letter from my former church lay on top of the junk addressed to “The Beam Family.” I took a deep breath. It was a small betrayal, to be sure, but the kind that erodes trust drip by drip until there’s nothing more than the sediment of a relationship that once was. I want to talk trust with the church. It’s a precious commodity to my generation of Millennials (roughly those between the ages of 18-33) who experienced both the collapse of the World Trade Center and the collapse of the American Economy before we turned 30. We can argue ourselves silly about whether Millennials are psychologically different than our parents and grandparents were at our age but the facts suggest there are at least social distinctions shaping our present. For instance, when asked in a recent survey from the Pew Forum, “Generally speaking, would you say that most people can be trusted or that you can’t be too careful in dealing with people?” only 19% of Millennials affirmed the general trustworthiness of humanity, compared with 31% of Gen Xers, and 40% of Boomers. We’re a cagey bunch, I’ll admit, but we have a lot of love untapped. For the next four weeks, I’m writing a series of articles over at Patheos’ Faith Forward blog called “Trust Me, Church: Five Micro-Resolutions That Make All the Difference.“ I want to get specific about what’s happening in my church that’s helping trust along or tripping me up – miniscule things like how the bulletin has the congregational responses included instead of assuming we all know them or how passing the peace feels more like a social break than an invitation to look a stranger in the eye. 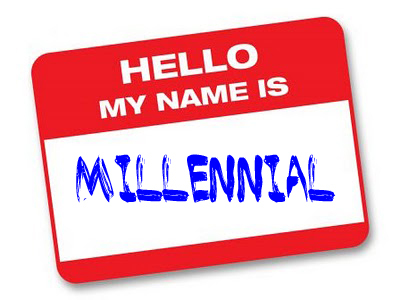 There are a lot of articles out there about how to “millennial-proof your church” that mention how important things like trust, authenticity, and a discernible website are to folks my age. I like a lot of these articles. But instead of talking about the big things that make a big difference, I’m curious about the small things that make all the difference. I want to know what the seemingly small things are for you, too.